For initial demo we are targeting on Foracare meter device D15b (blood pressure and glucose meter) for its availability reason and will be targeting other devices when necessary. Non blocking reading specified number of last reading data and displayed with iconic marker to data type indication (currently only for blood pressure and glucose). Query device information (Serial number, number of storage and system clock) but currently updating the system clock is not implemented yet. 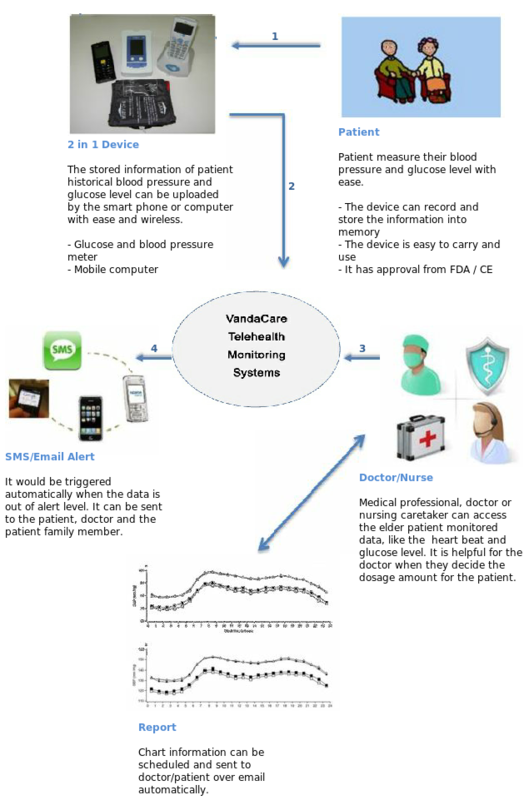 Two-way synchronisation with backend system, so it can be used as portable personal medical record.